Lewis Hamilton became only the third man in history to win five F1 world titles two weeks ago, but it's Max Verstappen who looks set to steal the headlines at the Brazilian Grand Prix this week. Hamilton has now matched the Formula 1 title haul of Argentine legend Juan Manuel Fangio and is just two behind all-time record holder Michael Schumacher. It was reward for a brilliant late summer and autumn for the Briton and Mercedes, but there are still two races left and some interesting punting conundrums coming up in the Brazilian Grand Prix betting. Sebastian Vettel was second in Mexico and now finds himself favourite to take a consolation victory, with Sportnation.bet a top price of 7/4 for him to win on Interlagos in São Paulo. There’s no doubting he’s more than capable, but he was well beaten by Max Verstappen last time, and that might have even flattered him. A poor start for Daniel Ricciardo (11/1 Mansionbet) and excessive tyre wear for both Lewis Hamilton and Valteri Bottas (11/2 Ladbrokes) put them on the back foot too. Indeed, a best price of 7/4 about Vettel seems short when one considers that Ricciardo was in front of Vettel before his car failed for the eighth time this season. Hamilton is 2/1 with Redbet to take victory in Brazil, a price that would have appeared huge value just a month ago; Hamilton has never won a race after he’s sealed the title, albeit from a small sample of races. Red Bull have not earned the points that their pace has deserved this season, but they’ve been consistently quick in the latter part of the season. 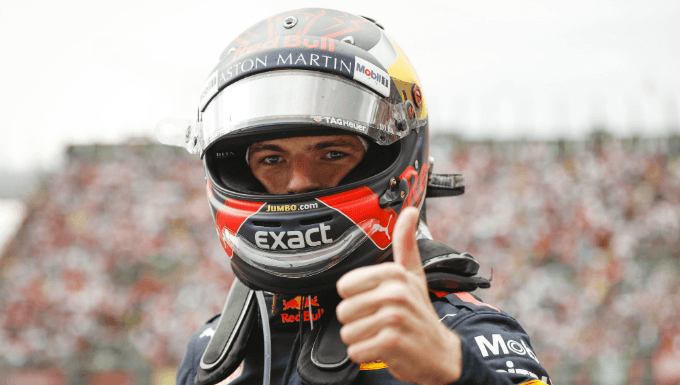 Max Verstappen was pipped to pole position by Daniel Ricciardo at Autódromo Hermanos Rodríguez, but dominated the entire race afterwards. The Dutchman is 15/2 with Ladbrokes for the race win and 13/10 for a podium finish with Sportnation.bet, both of which look good bets based on recent form. Verstappen was beaten by just one second in the US GP, and was third in Japan. It is also tempting to back his team mate Ricciardo for at least a podium position, given that he is double figures with most bookmakers - Mansionbet make him 11/1 to win and 19/20 to finish on the podium - but the Australian's most recent form figures of 4454664 are just enough to put you off. The 15/4 that Star Sports offer on Red Bull winning the Brazilian GP with either driver is an interesting option that could provide the best of both worlds. Those who are looking for a bet on the Brazilian Grand Prix that doesn’t involve one of the top six teams could take another shot at the double points finish for Force India, which is 5/4 with Bet365. They have made the points with both cars in seven of the last 10 F1 races. The F1 Brazilian Grand Prix is held on Interlagos in São Paulo, a 4.309km (2.677 miles) circuit with one of the most flat-out sections in the calendar. The action starts very quickly, there is a long climb up the hill from the grid at Juncao, drivers speeding through a left kink and over the start-finish line into a good overtaking spot at turn one - although it is risky if trying to pass multiple cars on the outside or inside. Those stuck on the inside can fight back through the Senna-S, if they retain enough speed through the exits, named after Brazilian's legendary three-time champion Ayrton Senna - a winner at Interlagos in 1991 and 1993. In what is an action-packed first half of the lap, there’s another chance to make a pass at turn four, although one needs to be convincing as the hairpin tightens significantly around the exit - dangerous for one caught wide. There are triple racing lines around the hairpins at turns eight, eleven and 12 (Juncao), then a long run through to the home straight, which is among the fastest sections in Formula 1, lasting 1394m, the course boasting a top-speed of 310kph (192.625 mph).